Razer CEO Min-Liang Tan is charismatic, clearly very smart and passionate — not a bad combination considering he’s the face and voice of a major international hardware manufacturer. Razer’s latest, the second-generation Blade gaming laptop, launches this week for the whopping price of $2,500, and we spoke with Min-Liang about just that. “This,” he said, referencing the second-generation Blade’s new, slimmer power brick, “costs seven times this,” he added, pointing to the last model’s larger external power supply. “Do we have to do this? Probably not.” And that’s emblematic of Razer’s whole approach to the Razer Blade, as a line of gaming computers. Expensive? Yes, very. But significantly nicer and more detailed that its less expensive competition? Also yes. Also very. As our own Sean Buckley put it in our review of their latest gaming laptop, “the Blade is a gorgeous machine.” It’s true — at just 0.88 inches tall and 6.6 pounds, the new Blade is remarkably thin and light for a 17-inch laptop with enough juice under the hood to sate even the most spec-obsessed of PC gamers. But are enough gamers out there willing to trade a lower price tag for a better-looking machine? Razer and its CEO certainly think so, and they’ve got numbers from the first, more expensive Blade to prove it. “The original Blade was at $2,799. Back then, it was pricey, but we’ve been surprised at the amount of demand for that. We thought we were gonna sell out in 30 days — we had 30 days’ stock. But we sold out in 30 minutes for the first batch,” he said. And, as far as pre-order numbers go for the second version, Min-Liang’s confident they mean good things for the future of the Blade. “We’re getting hammered with the pre-orders for the new Razer Blade. Right now, we’ll be able to ship most of the orders by September 30, fingers crossed. But we’re trying to bring in as many units as possible,” he excitedly explained. Min-Liang isn’t too worried about offending first-gen buyers, either — the first Razer Blade launched in early 2012 for just shy of $2,800. Less than 10 months later, the second-gen Blade is launching for $300 less with a significantly upgraded graphics card. Sure, first-gen adopters get a $500 discount on the new Blade, but the sting of early adoption is especially rough in such an instance. 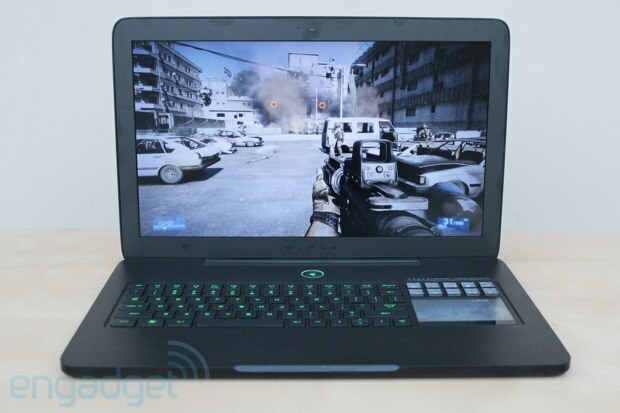 Razer CEO wants annual Blade laptop iterations, not worried about price complaints originally appeared on Engadget on Mon, 01 Oct 2012 17:29:00 EDT. Please see our terms for use of feeds. While we’ve already shown you our own detailed preview of HTC’s upcoming Windows Phone 8X, now it’s the company’s turn to put its own spin into it — and, well, what better way to do so than by posting a “first look” promo video. The short teaser itself doesn’t reveal any details we weren’t aware of, with the Taiwanese outfit placing focus on the device’s variety of color assortments, seamless integration with Skype, the track selection from Xbox Music and, of course, that built-in Beats Audio technology. Unfortunately, there’s no mention of an exact release date anywhere to be found in the video, although this shouldn’t come as a surprise given the fact we’re still waiting for Microsoft’s Windows Phone 8 launch to become officially official. Regardless, head on past the break to see what HTC has in store for you. 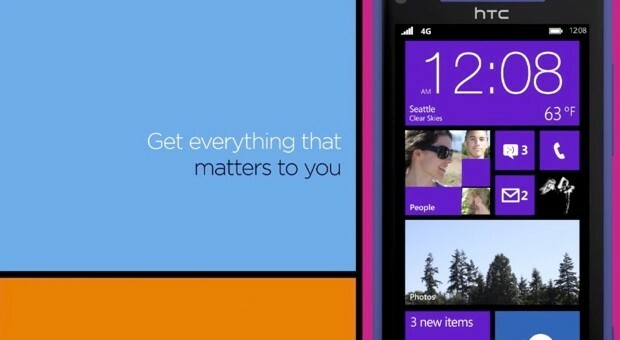 HTC teases Windows Phone 8X in promo video, wants you to look no further originally appeared on Engadget on Mon, 01 Oct 2012 17:09:00 EDT. Please see our terms for use of feeds. It’s Monday, which means it is time for you to listen into the recording booth when the Engadget HD podcast goes to mp3 at 5:30PM. Please be a part of it by reviewing the list of topics after the break, and then participating in the live chat too. Join the Engadget HD Podcast live on Ustream at 5:30PM ET originally appeared on Engadget on Mon, 01 Oct 2012 16:57:00 EDT. Please see our terms for use of feeds. This entry was posted on October 1, 2012, 5:37 pm and is filed under Mobility. You can follow any responses to this entry through RSS 2.0. Both comments and pings are currently closed.